The latest YoYoFactory Adventure video is here, and this one is from their recent trip to Peru! You might remember the IndieGoGo project that backed this trip and launched the Titanium Shutter...well, now we finally get a look at the scenery and dude, IT WAS WORTH IT. 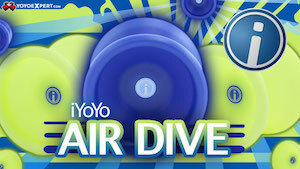 Another amazing video from the folks at YoYoFactory! 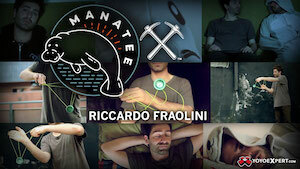 The latest YoYoFactory Adventure video is here, and this one is from their recent trip to Peru! You might remember the IndieGoGo project that backed this trip and launched the Titanium Shutter…well, now we finally get a look at the scenery and dude, IT WAS WORTH IT. Another amazing video from the folks at YoYoFactory, featuring Gentry Stein, Paul Kerbel, Vashek Kroutil, André Boulay, and more. Sponsored by a ton of players and YoYoExpert. Yesterday afternoon, André & Devon Boulay (owners of YoYoExpert.com) signed the last bit of paperwork, and they are now the owners of A2Z Science & Learning Store, the legendary toy shop in Northampton, MA that has hosted one of the longest-running yoyo clubs in the country! This is such a huge step for André and Devon, but it totally fits! Founders Jack & Priscilla Finn will stay on as employees and to help with the transition. This is such a fantastic move for André and Devon….congratulations! Check out the full article in the Daily Hampshire Gazette. For everyone who’s been begging for a new video from André Boulay….here you go! André throws down with the new Ghost Edition Dark Magic II yoyo from YoYoJam, and shows off the Shinwoo Light Kit, an after-market part that turns a lot of yoyos into light-ups. Five years ago, André Boulay went to the National YoYo Contest and came home with three things: a sunburn, the title of National YoYo Master, and an email confirming the very first order placed at YoYoExpert.com. Probably the most influential of all the National Masters, André’s tutorials have millions of views from aspiring yoyo players, and the number of people he’s helped learn to yoyo is incalculable. His work as a retailer has redefined the industry, and his tireless sponsoring and support of yoyo contests has been a game changer for many organizers. So please join us in congratulating André and the rest of the YoYoExpert.com staff on five years of serving the yoyo community and industry as the largest specialty yoyo retailer in the world! And keep an eye on their website, as they gear up to announce some special deals to celebrate the anniversary. Please Welcome Pierce Olivier Boulay! YoYoNews is incredibly proud to welcome our new Junior Correspondent, Pierce Olivier Boulay! YoYoNews co-founder and YoYoExpert.com owner André Boulay and his wife Devon welcomed their first child on July 19th! Pierce Olivier Boulay is 8 pounds of screamin’ awesomeness, and we can’t wait to see him at his first yoyo contest. Congratulations to André and Devon! 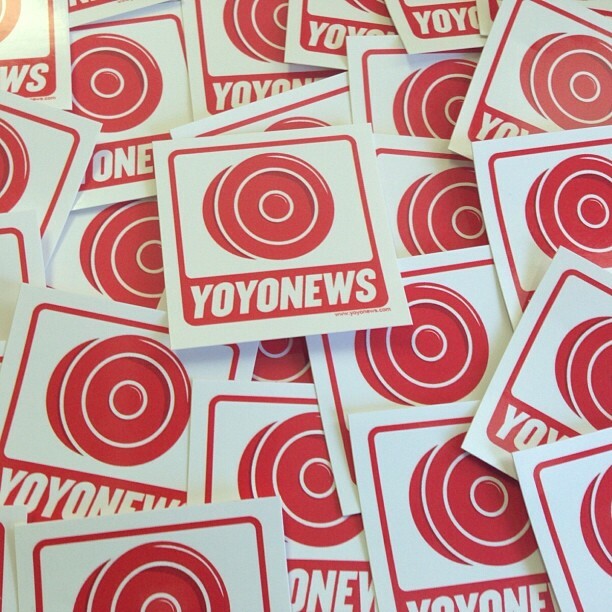 YoYoNews stickers are back from the printer, and they look great! 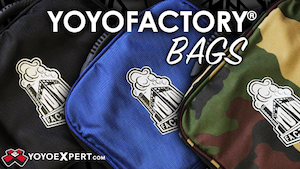 Available starting today with all orders from YoYoExpert.com, or in-person from Steve Brown, André Boulay, Ed Haponik, Drew Tetz, and Rafael Matsunaga. The YoYoJam Hex is the newest signature model yoyo today for André Boulay, and it’s releasing today! A full aluminum-bodied yoyo with centrally-located titanium weight rings, the Hex is easily the best looking release from YoYoJam, ever. 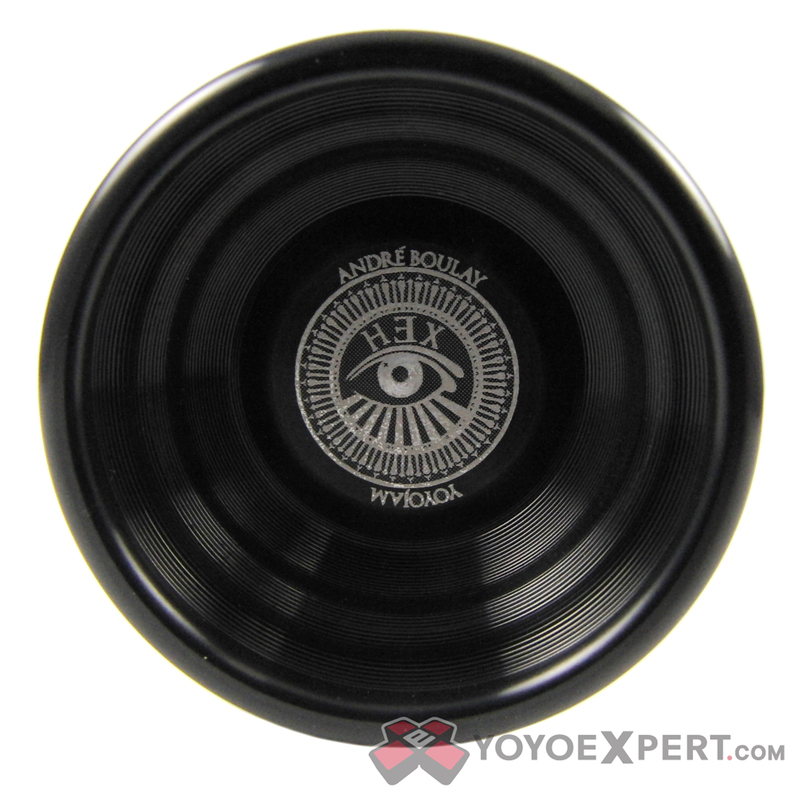 The shape is a slightly modified and updated version of André’s incredibly popular Dark Magic yoyo, one of the best-selling YoYoJam signature models in the company’s history. The Hex is available tonight at 10 PM EST from YoYoExpert.com. Tune Your Computer To YoYoRadio Live Tonight! I will be on YoYoRadio tonight along with Ed Haponik (SPYY / 365) and Brandon Jackson (Duncan Toys). Find out more about the show on their Facebook page. And listen live at this link (starts tonight at 9:30 PM EST). And find the entire show archive here and you can listen to old episodes!